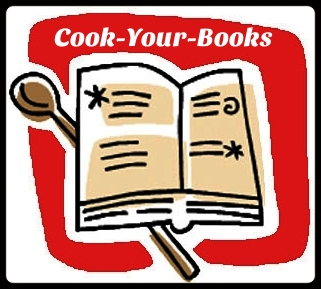 the best 3 view posts for Cook-Your-Books #6. Christmas is coming. I think this make a good Christmas treat to share with friends and beloved ones. It is a very moist and rich cake. 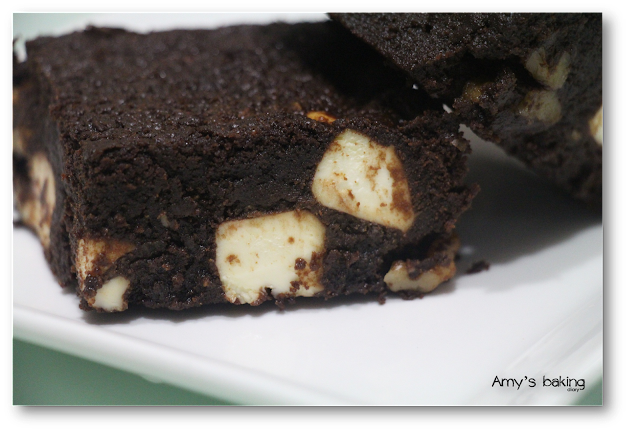 The brownies itself is intensely chocolatey, and the cream cheese dice provide a tangy contrast in between the brownies. My family and I prefer the moist brownies as we love the ooey gooey texture. Therefore, I added 1 tsp golden syrup into the batter. I was told by a chef when I attended a baking lesson that golden syrup will make the cake texture smoother and moist. It also enhances flavour to the cake. When the cake is freshly out from the oven, it was so tempting to eat it. But wait!!!! You’ll be glad if you do it. The texture of the cake will turn chewy and amazing when it is cooled and settled. Please note. Do not cut the cake when it is still warm. It’ll like kind of fall apart. Let the cake sits cool for few hours and you will get a super gorgeous square cut. (1)Preheat oven to 180°C, grease and line a 18cm (7”) baking tray with aluminium foil. (2)Melt the chocolate and butter over low heat. Remove from heat, stir in brown sugar until melted. Leave to cool. (3)Add in beaten egg, stir well. Gradually fold in flour and cheese dices, mix well. (4)Spread batter into prepared tray. Bake in oven for 30-35 minutes or until cooked. When cool, slice and serve. I’m so excited about this event that's organised and hosted by Baby Sumo of Eat Your Heart Out. I believe there’s going to be a huge collection of Christmas recipes that we can refer to. Do you have friend who love to cook? It looks really moist and tempting! Love brownies like these too but dare not eat too much as they are very high in calories:P I like the neat cut of your brownies. 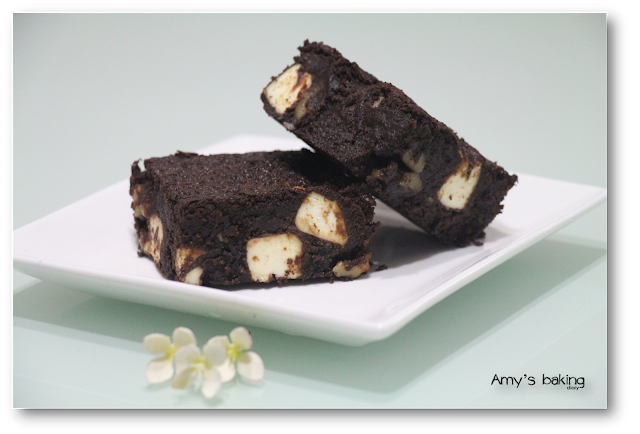 Hi Amy, given a choice, I would go for brownies than cookies. Rich in flavours. It is always a pleasure to have you at Cook-Your-Books! And it is wonderful that your bake was one of the most viewed, it looks amazing! The same here with this brownies, it looks very chocolaty, moist and delicious! Thanks for sharing once again your lovely bake with CYB! These do sound good, it works in a cheesecake so why not in a brownie? This brownies sounds like the one that we are going to be bake for bake-along in early Mar. Lena has chosen the recipe from Nigella's How to be a domestic Goddess. Wanna bake with us??? 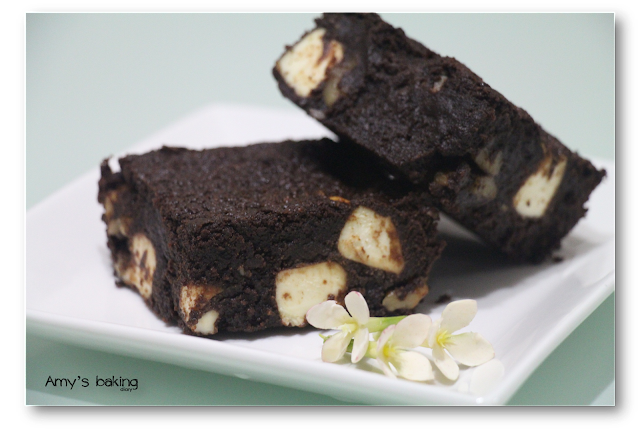 We are big big big fan of brownies too and will definitely like this moist and chocolaty brownies.... Yum! chewy and gooey brownies? mmmm...sounds delicious! 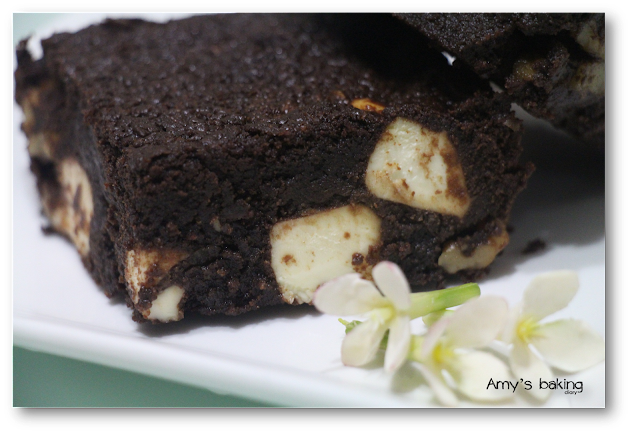 yes, regarding zoe's comment on the cream cheese brownies.. maybe you can bake along with us.